Color wheel is a great tool to see relationship between primary and secondary colors. 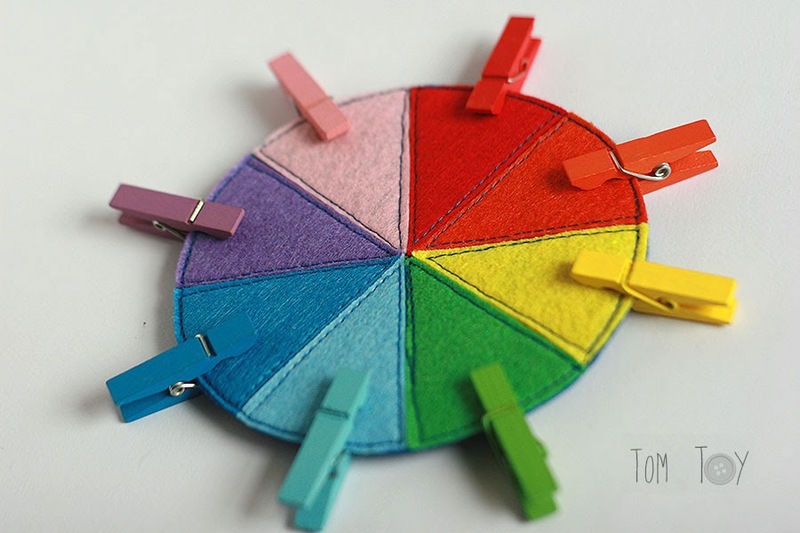 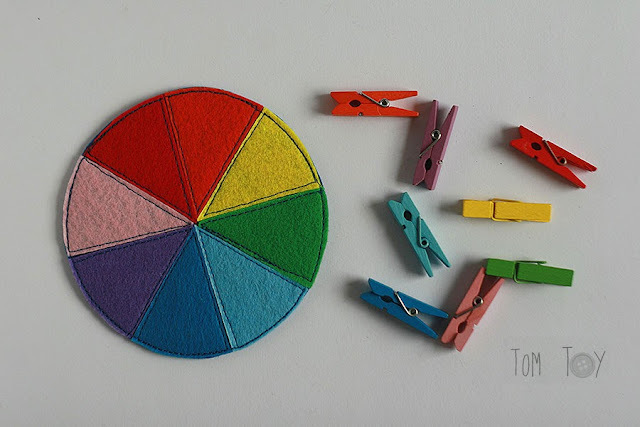 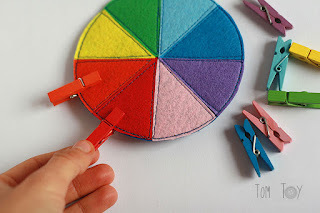 This felt color wheel and colorful add-ons helps to learn and match colors. 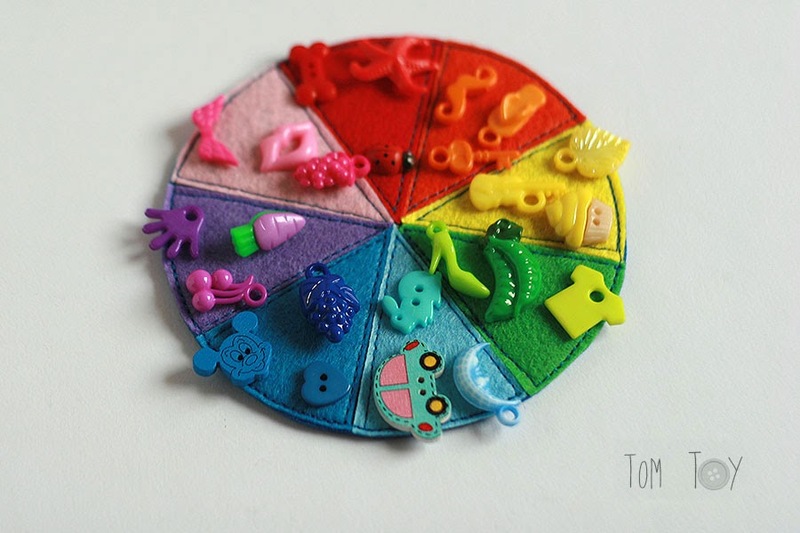 ● 24 colorful trinkets. Shown trinkets are for example, your trinkets might be different. Trinkets are tiny, use only under adult supervision.